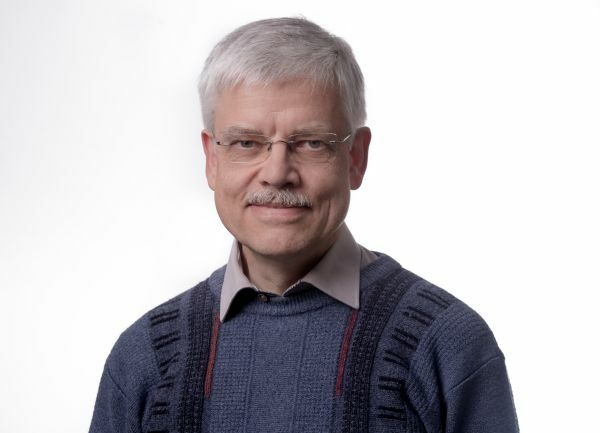 The publishers of The European Physical Journal C – Particles and Fields are pleased to announce the appointment of Professor Günther Dissertori as new Editor-in-Chief for Experimental Physics I: Accelerator Based High-Energy Physics, replacing Professor Jos Engelen as of 1 January 2019. Günther Dissertori obtained his PhD in Physics for a thesis on theoretical studies and experimental data analyses related to the ALEPH experiment at the CERN electron-positron collider LEP. He is Full Professor and Head of the Institute for Particle Physics and Astrophysics at ETH Zürich. Currently, the main focus of his research group is on the analysis of data taken with the CMS detector and its future upgrade, as well as on applications of particle physics detector technologies to bio-medical imaging, in particular positron emission tomography. The publishers of The European Physical Journal C – Particles and Fields are pleased to announce the appointment of Professor Kostas Skenderis as new Editor-in-Chief for Theoretical Physics II: Gravitation, Astroparticle Physics and Cosmology, General Aspects of Quantum Field Theories, and Alternatives, replacing Professor Ignatios Antoniadis. 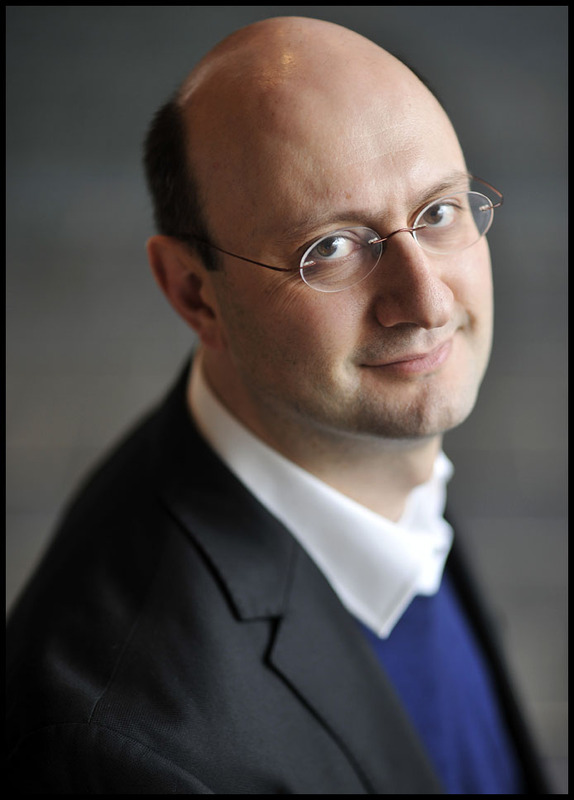 Kostas Skenderis is Director of the Southampton Theory Astrophysics and Gravity (STAG) Research Centre and a Professor in Mathematical Sciences at the University of Southampton. His research interests are in high energy theoretical physics and string theory, and in particular in the study of holographic dualities, their foundations and their applications. Current textbooks often refer to the Lorentz-Maxwell force governed by the electric charge. But they rarely refer to the extension of that theory required to explain the magnetic force on a point particle. For elementary particles, such as muons or neutrinos, the magnetic force applied to such charges is unique and immutable. However, unlike the electric charge, the magnetic force strength is not quantised. For the magnetic force to act on them, the magnetic field has to be inhomogeneous. Hence this force is more difficult to understand in the context of particles whose speed is near the speed of light. Moreover, our understanding of how a point-particle carrying a charge moves in presence of an inhomogenous magnetic field relied until now on two theories that were believed to differ. The first stems from William Gilbert's study of elementary magnetism in 16th century, while the second relies on André-Marie Ampère electric currents. 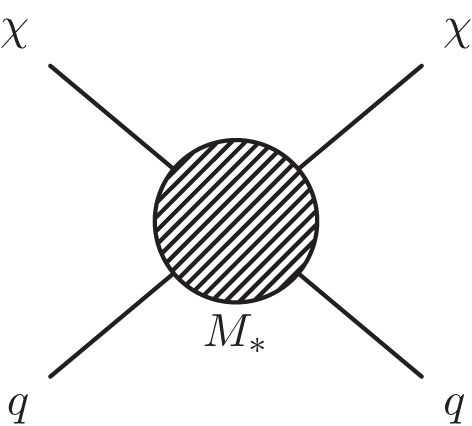 In a new study just published in EPJ C, the authors Johann Rafelski and colleagues from the University of Arizona, USA, succeeded in resolving this ambiguity between Ameperian and Gilbertian forms of magnetic force. Their solution makes it possible to characterise the interaction of particles whose speed is close to the speed of light in the presence of inhomogeneous electromagnetic fields. 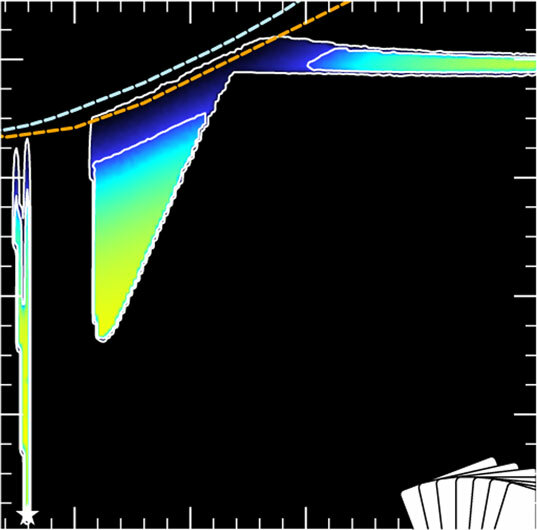 Likelihood of scattering, from the scalar singlet model and experimental data comparison. In chess, a gambit refers to a move in which a player risks one piece to gain an advantage. The quest to explain dark matter, a missing ingredient from the minimal model that can describe the fundamental particles we have observed (referred to as the standard model of particle physics), has left many physicists eager to gain an advantage when comparing theoretical models to as many experiments as possible. In particular, maintaining calculation speed without sacrificing the number of parameters involved is a priority. Now the GAMBIT collaboration, an international group of physicists, has just published a series of papers in EPJ C that offer the most promising approach to date to understanding dark matter. 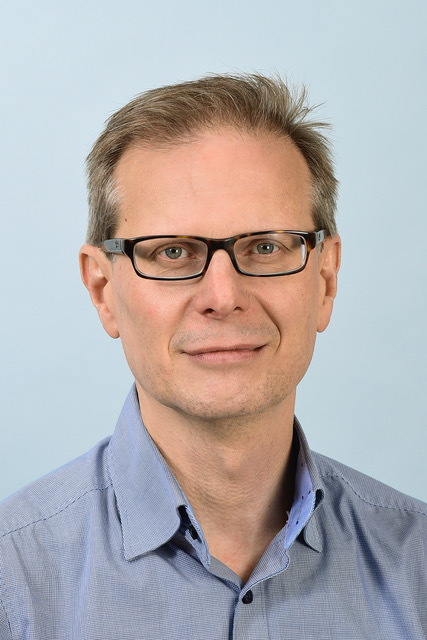 The publishers of The European Physical Journal C – Particles and Fields are pleased to announce the appointment of Professor Dieter Zeppenfeld as new Editor-in-Chief for Theoretical Physics I: Phenomenology of the Standard Model and Beyond, replacing Professor Gino Isidori. Dieter Zeppenfeld is Head of the Institute for Theoretical Physics at the Karlsruher Institut für Technologie (KIT) and leads a research group on Collider Physics at KIT. Schematic of an Effective Field Theory interaction between dark matter and the standard model. In the quest for dark matter, physicists rely on particle colliders such as the LHC in CERN, located near Geneva, Switzerland. The trouble is: physicists still don't exactly know what dark matter is. Indeed, they can only see its effect in the form of gravity. Until now, theoretical physicists have used models based on a simple, abstract description of the interaction between dark matter and ordinary particles, such as the Effective Field Theories (EFTs). However, until we observe dark matter, it is impossible to know whether or not these models neglect some key signals. 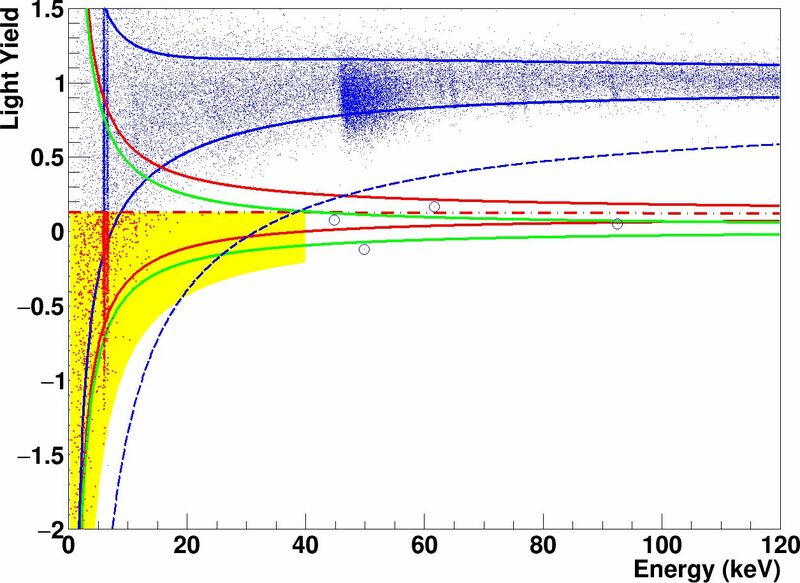 Now, the high energy physics community has come together to develop a set of simplified models, which retain the elegance of EFT-style models yet provide a better description of the signals of dark matter, at the LHC. These developments are described in a review published in EPJ C by Andrea De Simone and Thomas Jacques from the International School for Advanced Studies SISSA, in Trieste, Italy. Illustration of the shift of two wave packets with large spread. Loss of coherence occurs even if the packets overlap due to the spatial energy redistribution within the whole wave packets. Neutrinos are elementary particles known for displaying weak interactions. As a result, neutrinos passing each other in the same place hardly notice one another. Yet, neutrinos inside a supernova collectively behave differently because of their extremely high density. A new study reveals that neutrinos produced in the core of a supernova are highly localised compared to neutrinos from all other known sources. This result stems from a fresh estimate for an entity characterising these neutrinos, known as wave packets, which provide information on both their position and their momentum. These findings have just been published in EPJ C by Jörn Kersten from the University of Bergen, Norway, and his colleague Alexei Yu. Smirnov from the Max Planck Institute for Nuclear Physics in Heidelberg, Germany. The study suggests that the wave packet size is irrelevant in simpler cases. This means that the standard theory for explaining neutrino behaviour, which does not rely on wavepackets, now enjoys a more sound theoretical foundation. The publishers of The European Physical Journal C – Particles and Fields are pleased to announce the appointment of Professors Laura Baudis as new Editor-in-Chief. This follows the splitting of the experimental section into Experimental Physics I: Accelerator Based High-Energy Physics, now led by Jos Engelen, and Experimental Physics II: Astroparticle Physics, now led by Laura Baudis. 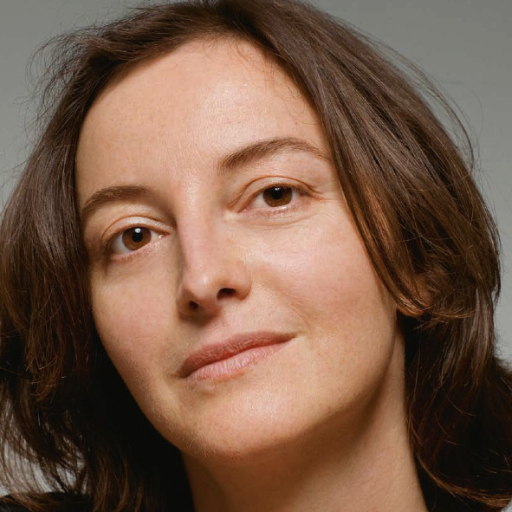 Laura Baudis is a Professor at the University of Zurich. Her research interests are in astroparticle physics and cosmology, in particular in the fields of direct dark matter detection and neutrino physics. Data gathered by the detector module Lise depicted in the light yield energy plane. The origin of matter in the universe has puzzled physicists for generations. Today, we know that matter only accounts for 5% of our universe; another 25% is constituted of dark matter. And the remaining 70% is made up of dark energy. Dark matter itself represents an unsolved riddle. Physicists believe that such dark matter is composed of (as yet undefined) elementary particles that stick together thanks to gravitational force. In a study recently published in EPJ C, scientists from the CRESST-II research project use the so-called phonon-light technique to detect dark matter. They are the first to use a detection probe that operates with such a low trigger threshold, which yields suitable sensitivity levels to uncover the as-yet elusive particles responsible for dark matter. Light yield versus energy of events passing all selection criteria. © G. Angloher and et al. According to astronomical observations, dark matter constitutes a five times greater proportion of the universe than ordinary matter, which only makes up 5% of the matter in the universe. The remaining 70% of the universe is known as dark energy. However, we still do not know what dark matter is made of. Indeed, none of the known elementary particles fulfil the criteria to explain dark matter. One theory suggests that it consists of as yet unknown elementary particles that interact only very weakly with ordinary matter, fittingly called WIMPs (Weakly Interacting Massive Particles). Now, members of the CRESST (Cryogenic Rare Event Search with Superconducting Thermometers) collaboration have analysed recent data showing what dark matter is not made of, from a new kind of detector for such particles. This work has recently been published in EPJ C.
Everything was running smoothly and the service you provided was very efficient and competent, so I'm very satisfied.